Make a tea towel dress with sequin lace trim. Turn a boring tea towel into a fancy dress to dry your hands. Just hang the dress over your oven door and tie the satin ribbons to hold in place. You will need:- Sewing machine 1 tea towel Bodice pattern Fabric for the bodice 35cm x 25cm Sequin lace trim for the sleeves 2 pieces 16cm 4 x 25cm lengths of ribbon for the ties (You can use grosgrain ribbon or satin ribbon) 30cm x 9mm Fold over elastic for the binding around the neck. 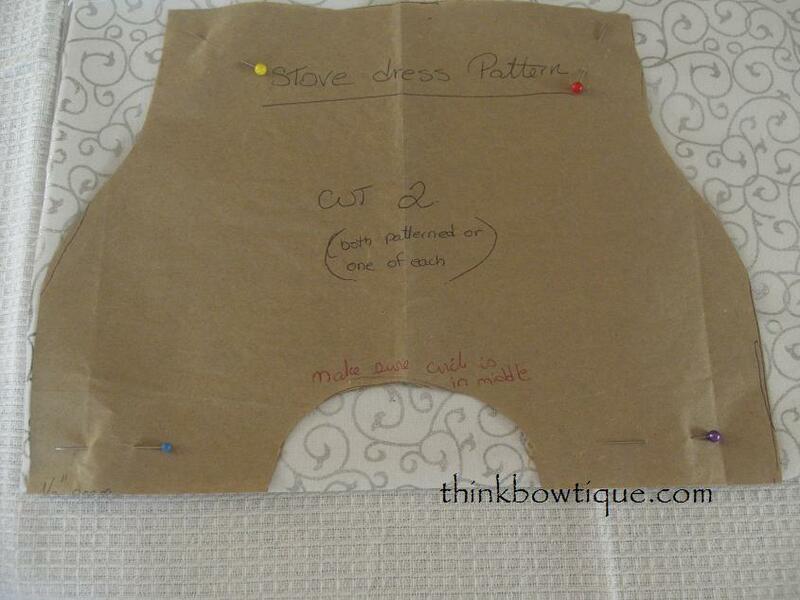 The photo below show the bodice pattern with the shoulders on the fold of the fabric. You can see the neck opening in the centre at the bottom the photo. Pin in place and cut out. 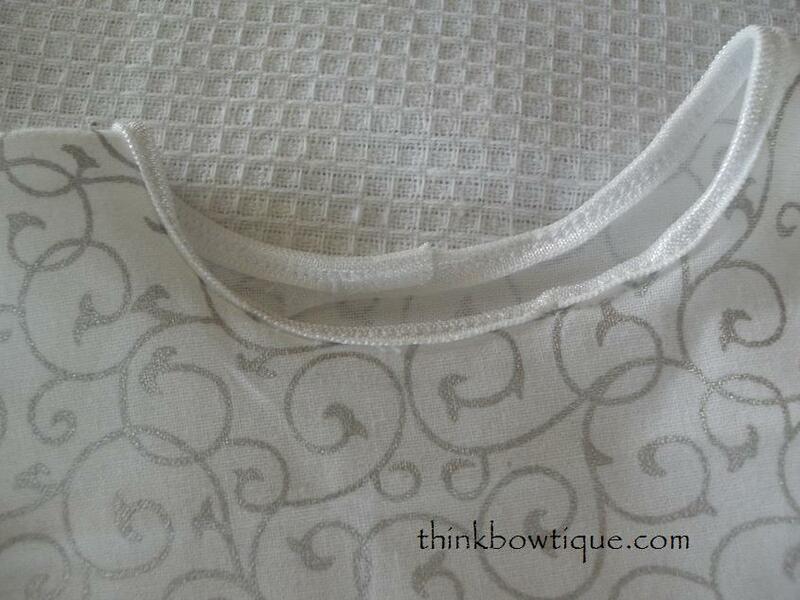 Open out your bodice fabric and lay flat with right side of fabric facing up. 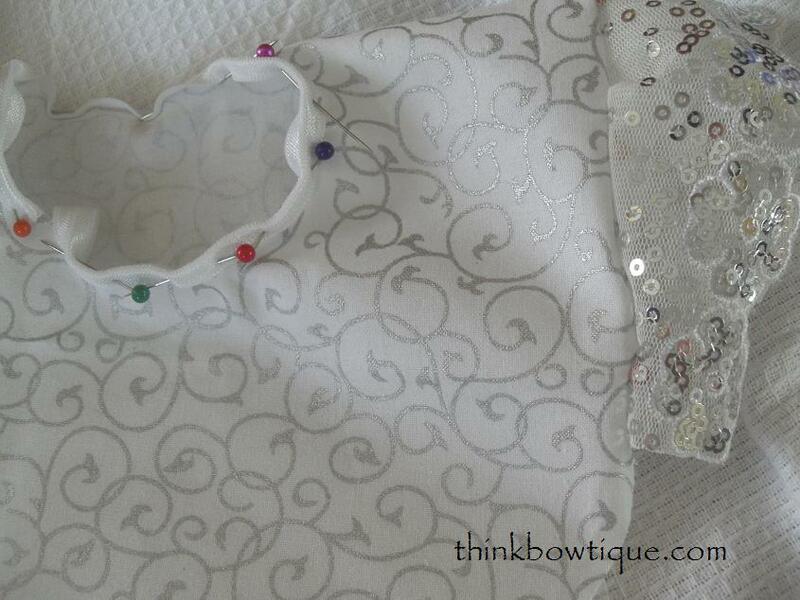 Pin the sequin lace trim to the shoulder with right side facing down on the fabric. Stitch into place. 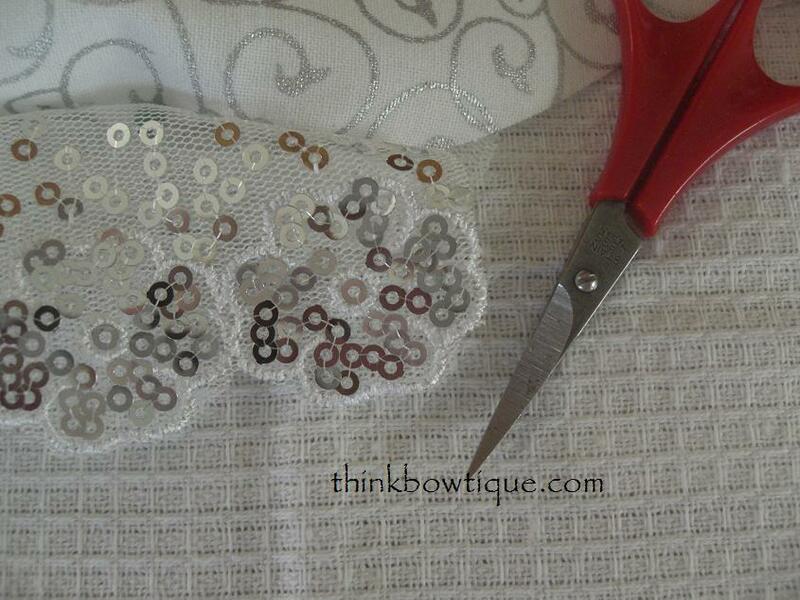 After I stitched the sequin lace trim to the bodice I trimmed around the flower edge to give a neater finish. 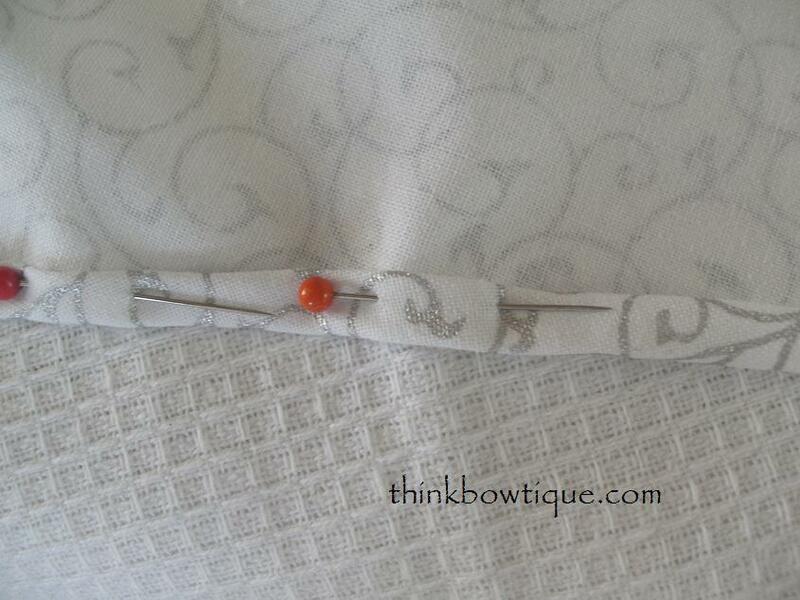 Take your length of 9mm fold over elastic and pin to the neck line. I found it easier to stitch the fold over elastic down without pinning first. 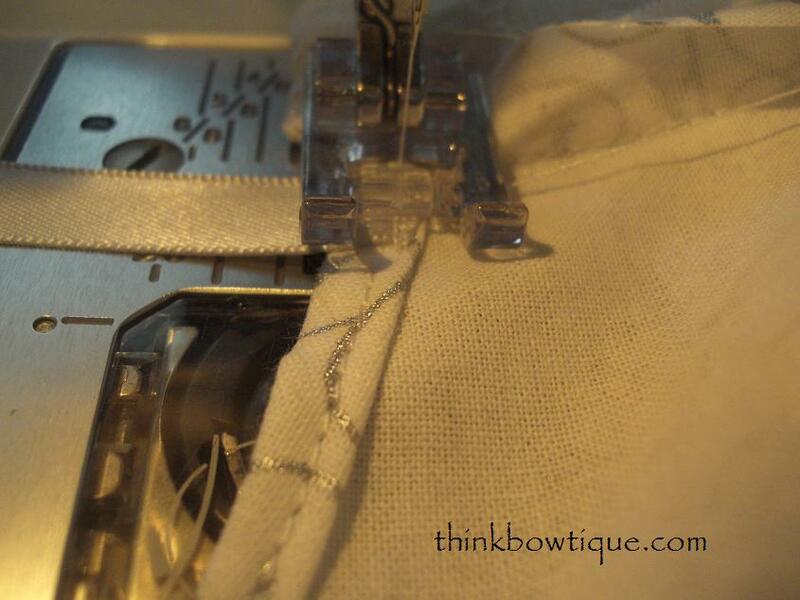 Place the centre fold of your elastic against the seam of your fabric and stitch around. I then fold the elastic over and pin then stitched. 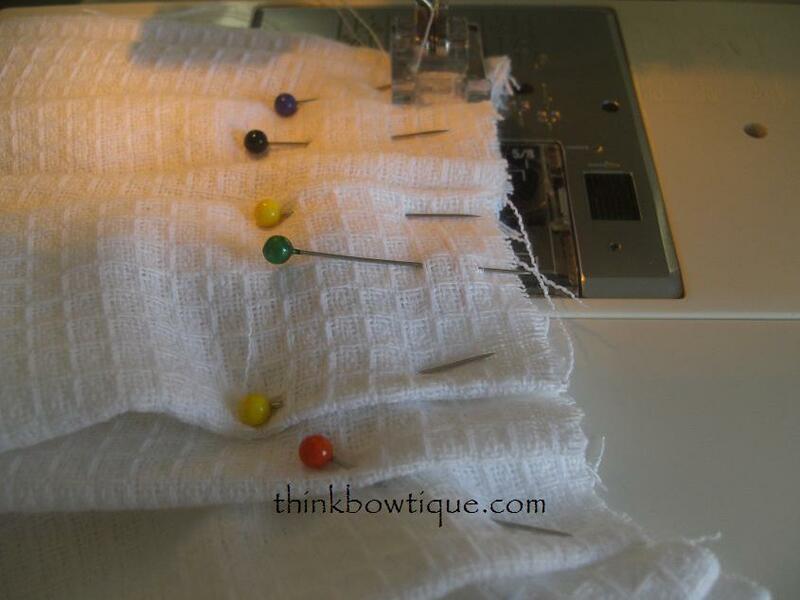 If you overlock the neck edge first you could just stitch the elastic without folding it over. If you overlock and stitch without the fold make sure to stitch the wrong side of the elastic to the right side of the fabric. This is the neck line with the elastic folded over the seam. Now take the sides of the bodice and do a rolled seam so you don’t have to overlock. Or you could overlock the edge and just fold once. The tea towel I used was 51cm x 98cm. You can use smaller. Take the long edge of your tea towel and fold in half. Then cut the fold. You now have 2 pieces 51cm x 49cm. 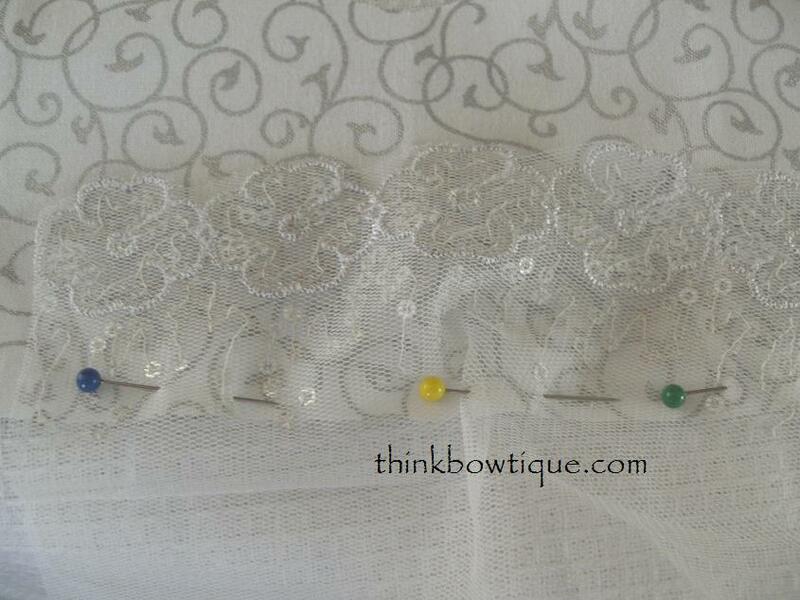 With your raw edge you will need to gather it or pleat it to make it fit to your bodice. 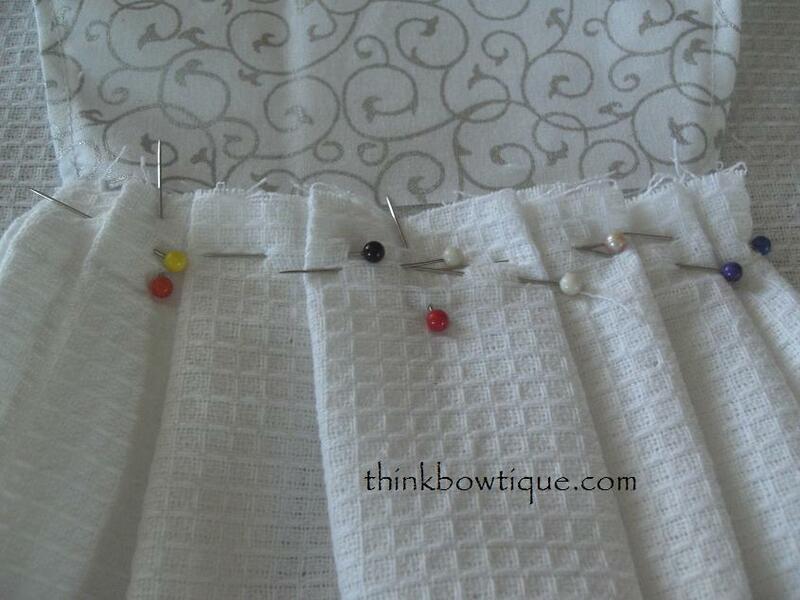 Place your bodice above your tea towel as a guide and make your pleats. I found it easiest to stitch the pleats first and then attach to the bodice and stitch together. You could stitch straight to the bodice if you wish. You will also need to overlock the seam as the tea towel will fray when washed. I then attached my lengths of ribbon to the bodice just above the seam. 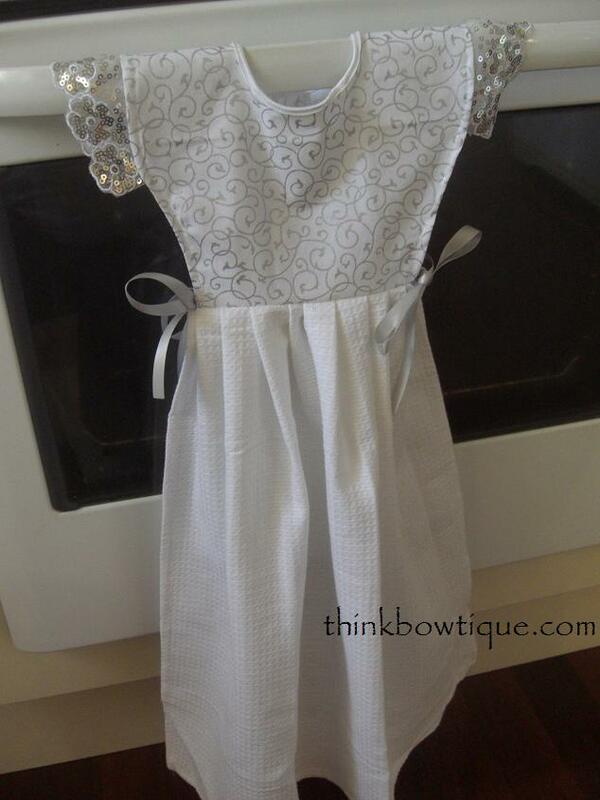 Take your finished dress and place over your oven door handle and tie your ribbons. You now have a fancy tea towel dress to dry your hands. If you like our tutorial please link back to us. You are welcome to use 1 photo only. Thanks also for the opportunity to link to your brunch.